Our people have survived for the past 3,500 years … and not by accident. We did it against all odds — Crusades, Inquisition, Pogroms, Holocaust … There are perhaps 12 million Jews in the world today where by conservative demographic projections, there should be 400 million. However, they were lost to murder and assimilation. Why are we still Jews and how can we ensure our grandchildren will be Jewish? There are questions all of us must ask ourselves: How important is it to me to be Jewish? What does it mean? 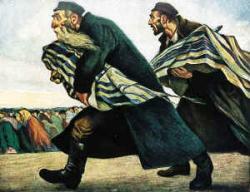 Am I willing to die to remain a Jew? If I am willing to die as a Jew, am I willing to live as a Jew? Given that Purim begins this Wednesday (tomorrow) evening at sundown and concludes a little over 24 hours later, and Easter is this coming Sunday, the 27th, I thought their close proximity on the calendar this year justified some juxtaposition between Judaism and Christianity. From Rabbi Packouz’s point of view, Jewish survival of a nearly endless stream of “Purim-like” genocidal events is due, not only to the love and mercy Hashem has for His covenant people, but because Jewish people throughout history have remained steadfast to community, Torah, and Talmud. It’s their dedication continuing generation after generation, to preserving Jewish life and traditions, to raising children and grandchildren to, not just be ethnically or DNA Jewish, but to have a lived Jewish experience through the mitzvot. OK, I’m being kind of negative where the Church is concerned, and I must admit that Judaism as a religious stream has also fragmented across the last two thousand years, and today is represented by multiple, competing communities. However, unlike Christianity (and to make matters worse), there are also an unnumbered population of secular and assimilated Jews who have no seeming connection to the God of their Fathers at all (obviously, a secular Christian is a contradiction in terms). You don’t see too many Christian Crusades against the Jewish people these days (unless you count evangelizing the Jews as a “crusade”), but you do see a great deal of assimilation. My Jewish wife’s siblings were all assimilated, and two of them are avowed Evangelical Christians. Is that such a bad thing? Not according to this article at the Rosh Pina Project. However, if a Jew has to come to the Jewish Messiah King by renouncing Jewish religious and lifestyle praxis and assimilate into the churches of their historic adversaries and conquerors, then I must disagree that it’s a good thing, particularly given Dr. Blizzard’s assessment of the rather poor spiritual state of the Church today. If parents want their children and grandchildren to be Jewish, the parents must be a role model for living Jewishly. Any person I met who has positive feelings about being Jewish has told me it’s because he remembers his father making Kiddush, his mother lighting Shabbat candles, the Passover Seder. Memories, emotions and values only transfer through actions; philosophy does not pass to the next generation — unless it’s lived. Remember, a parent only owes his child three things: example, example, example! Do you want your grandchildren to be Jewish? Then today go and buy To Be a Jew by Rabbi Hayim Donin. Read it. Make your decision. 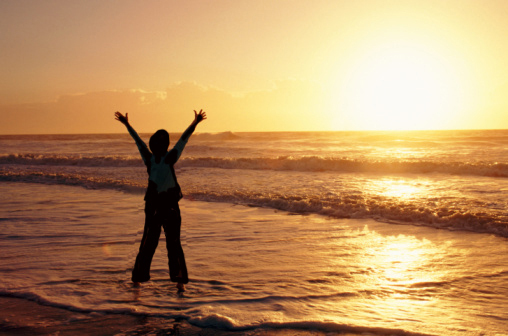 And then institute a gradual program of change that will lead to your living a fuller Jewish life. Then your children will have something that they value and want for themselves and for their children! We actually have a copy of that book in our home and I know my wife has read it, and frankly, I wish she were more observant…much more observant. I also think this is beginning to happen as small groups within their churches are becoming aware of a more Hebraic interpretation of their Bibles. Some remain in their church communities and become lone voices of restoration among their peers and the Pastoral staff, while others leave the Church altogether and either seek out like-minded souls, or lacking that, go on a solitary journey of discovery in the company of the Holy Spirit. I wrote the blog post Standing on the Jewish Foundation of the Bible in November 2013 when I was attending a small, local Baptist church. I was having weekly private meetings with the head Pastor to discuss our relative points of view on the Bible, with him trying to turn me into a good Baptist, and me trying to enlighten him with the radically Jewish nature of the Messiah and his laser-like focus, not on the Church, but on the restoration of Israel. Neither one of us were successful, in large part because of my conviction that the Church as it exists today, for all the wonderful things she has done, still represents a Two-Thousand Year old Mistake. 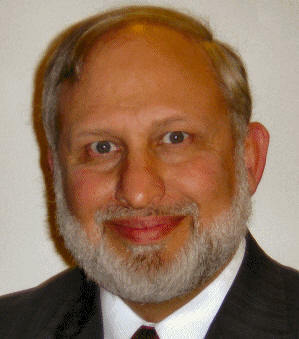 When the early non-Jewish disciples of Rav Yeshua (Jesus Christ) and their Jewish mentors and teachers each demanded an ugly divorce, the Gentile Christian Church rose out of the seeming ashes of its Jewish origins and began describing a drunken course through history much as Dr. Blizzard has described. On the flip side of the coin, the number of Jews who retained fidelity to Rav Yeshua dwindled over the decades and centuries until Jewish devotion to Yeshua as the revealed Moshiach was extinguished. This is what made it possible for the various incarnations of the Church to persecute the Jewish people, burn synagogues, burn volumes of Talmud, burn Torah scrolls, and burn the Jewish subjects of the Jewish King, all in the”Gentile-ized” name of that King; in the name of Jesus Christ. But the Jewish people and lived Judaism have continued to survive, in spite of the persistent spirit of Haman which has followed them across the pages of history, attempting time and again to finish what he started as we read in the Scroll of Esther (see your Bible for details). In a tiny handful of hours, Jews all over the world will be gathering together and celebrating Jewish survival from historical and modern genocide (represented today in part by ISIS, Iran, the PLO, Hamas, CNN, Barack Obama) by the observance of Purim. And on Sunday, in sunrise services around the world, Christians will be gathering together to celebrate the meaning of a risen Christ. When Catholic Memorial School, an all-boys high school in Boston’s Roxbury neighborhood, played Newton North High School in a closely-fought basketball game last Friday, tensions were running high among the crowd. As the crowd got rowdy, a group of between 50 and 75 supporters of Catholic Memorial started a chant of their own. “You killed Jesus!” they yelled at Newton’s team and supporters, repeating the slur over and over through the gym. The Newton students fell silent, shocked and upset. This happened within the past few months, not the past few decades. These Catholic sports fans wouldn’t have known to taunt the Jewish basketball players and their families with such an insult if they hadn’t learned it somewhere. 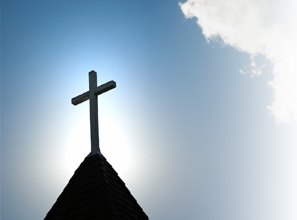 Perhaps there are certain corners of the Christian Church that haven’t put their houses in order yet. Dr. Blizzard believes that the restoration of the “Hebrew” Church is happening one individual at a time, and in the present age, I believe that’s true. I also believe that there’s a war coming; a terrible war. I believe every nation on Earth is going to turn against Israel in an attempt to finally accomplish Haman’s mission and wipe every single Jew from the face of our planet. I believe the western nations, particularly the United States, will be among those standing against Israel. I expect my neighbors, co-workers, and people I’ve worshiped with in church will be among those supporting such a war (though I hope there will also be those who will join me in opposing it). As such, I don’t think there will be a Church, at least as we understand the concept today, when King Messiah rules from his throne in Jerusalem. I believe there will be an ekklesia, a world-wide multi-national community of those devoted to the God of Israel, who are the disciples and servants of the Jewish Messiah King, made up of two basic people groups, Jewish Israel, and everybody else. From Wednesday night to Thursday night, Jews around the world will celebrate continued Jewish survival in a way that looks like a cross between Halloween and April Fools Day. And without really understanding the significance from a Jewish point of view, on the very the next day, on Good Friday, Christians will commemorate the crucifixion of Christ, which has historically (and as we’ve seen, also in the current era) been used as an excuse to attempt to deprive some Jews of continued survival. The Bible tells us the story of Purim and the meaning behind it throughout Jewish history, and in the end, Israel wins, and finally, all of Israel’s enemies, including us, will be made subservient to the nation we have forever attempted to destroy. Does this mean Purim wins over Easter, too? Well, sort of. But not actually. Ironically, although this will elude a traditional Christian viewpoint, the resurrection of Rav Yeshua was originally supposed to be understood as the beginning of the restoration of Israel, the Jewish people, and the lived experience of Judaism through the Torah mitzvot. Only after all of that, will the rest of the world, we devoted ones from among the nations, be restored as well. Zechariah 14 paints this picture for us very clearly. We will join ourselves to the Lord, minister to Him, love His Name, be His servants, be taken to His Holy Mountain (the Temple), be made joyful in His House of Prayer (the aforementioned Temple), our burnt offerings will be accepted, and we will all be privileged to call ourselves the sons and daughters of the Lord Almighty. Our takeaway from both Purim and the Resurrection (though not necessarily the modern expression of Easter), is that we serve our Rav by celebrating the risen King Messiah who is the mediator of the New Covenant promises to provide for the continued survival of the Jewish people and the restoration of the Jewish nation as the head of all the nations (Jeremiah 31:7). 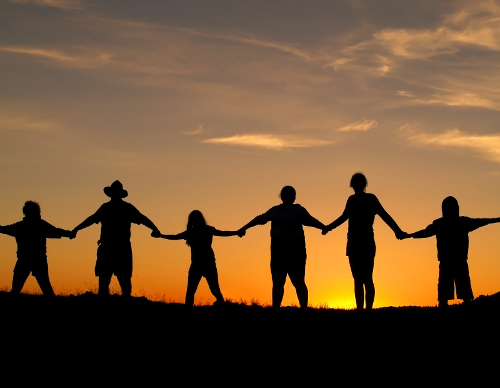 This year and every year, we non-Jewish disciples of our Rav (i.e. Christians everywhere) should celebrate Jewish survival and the Jewish state as signs of our risen King, who upon his return to us, will destroy the spirit of Haman once and for all and establish lasting peace not only for Israel, but for our contentious and weary planet. And in the end, we will finally be healed. We’ve explained why midrash and aggadah are so vital to our Torah diet. We’ve explained that these stories speak to us from a higher plane of reality. And we’ve also demonstrated that even if you don’t get it, you still do get it—meaning that you’ve still got truth even if you’re clueless to the meaning inside. We’ve also provided some guidelines to determine whether a story is an anecdote or a parable. Now, let’s take a test case. Let’s look at a story of the Talmud and see what’s meant literally, what’s meant to point to something deeper, and how it could be true for everyone on their level. That’s a really nice summary of the past four articles compressed into just a couple of paragraphs. Now’s the test. Run an actual story through the matrix and see if it makes sense. This last commentary by R. Freeman and R. Shurpin is quite a bit shorter than their previous missives. I could probably copy and paste the whole thing here and then comment on it, but I don’t think I’ll do that. You have the link above to see all of the contents. So what’s the story they want to test? I’ve heard this one before. This story circulates every Purim (and as I write this, it is still before Purim). The commentary from Chabad tells us something useful right away. In this case, I guarantee this is not meant to be taken at face value. Here’s where the title “Death by Secrets” comes in. What we appear to be dealing with in this case is a real-life anecdote told in figurative terms. Rabbah and Rabbi Zeira were drunk, but not from the wine; and Rabbah slaughtered Rabbi Zeira, but not with a slaughtering knife. Everything was good, very good—to the point that Rabbah was ready to go it again. Just not something that us amateurs should attempt without clinical supervision. What? OK, I was fine with ”a real-life anecdote told in figurative terms,” but what does it mean that Rabbi Zeira was “slaughtered but not with a knife” and “everything was very good and Rabbah was ready to go again?” Go at what? 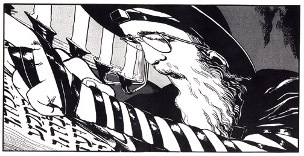 ”When wine enters,” the Talmud tells us, “secrets come out.” Rabbi Isaiah Horowitz, in his classic Shnei Luchot ha-Brit, describes how great sages and holy men would consume much wine and celebrate—and the channels of their mind would open so that the deepest secrets of the Torah would flow out of their mouths. He cites stories of the Talmud to this effect. Rabbi Chaim ibn Attar, in his commentary to the Torah, Ohr ha-Chaim, describes how it was these secrets that emerged through the drinking of wine that carried Nadav and Avihu, the two sons of Aaron, to death as their souls departed from their bodies in ecstatic divine love. Now, Rabbah was able to imbibe these secrets and remain alive, as his name implies: rab means “great.” But Rabbi Zeira could not contain such intense light: ze’ir means “small.” So Rabbah’s sharing of mystical secrets created such a great thirst for divine union in Rabbi Zeira’s soul that it departed, and his body was left dead. 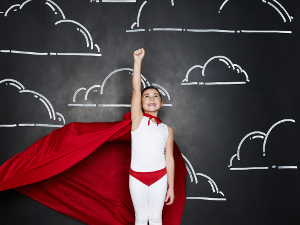 The next day is no longer Purim—no longer a day for escaping all bounds and limitations, but a day for fulfilling your purpose down here on earth inside a physical body—so Rabbah dutifully resurrects his colleague. The next year, Rabbah had no regrets, and was ready to perform the same clinical procedure on Rabbi Zeira once again—take him for a ride up to heaven and back again the next morning. Or perhaps he figured Rabbi Zeira had enough time to also attain a higher level, and would be able to hang in there. So we aren’t to believe that Rabbah literally murdered Rabbi Zeira but we are expected to believe that under the influence of alcohol, Rabbah’s “secrets” were spilled out, and he took Rabbi Zeira on an unexpected ride to heaven and then back to earth the next day. 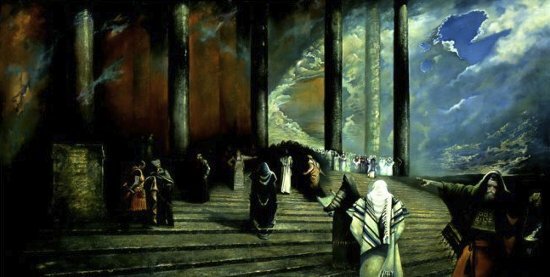 Rabbi Zeira decided he didn’t want a second trip to heaven the following year, not because it would drive him to the point of insanity and even kill him, but because of his great humility. Whatever the case, the lesson remains the same: Don’t get carried away with your wine, no matter its substance. Keep your feet on the ground. If you know you’re the type to be easily carried away when drinking, avoid it altogether. So it all depends on what kind of person you become when you get drunk. That’s the moral of the story and it seems to be the most useful lesson being taught, especially when imbibing at a celebration where others are present. To be honest, I’m a little disappointed. That’s quite a build up to a conclusion that seems so pedestrian. I mentioned in last week’s review that based on Yann Martel’s novel Life of Pi, it’s not the more believable story that’s “real” but the most interesting tale. The literal meaning: Rabbah and Rabbi Zeira got drunk on Purim to the degree that Rabbah murdered Rabbi Zeira and, when he sobered up the next day, begged for divine mercy and resurrected Rabbi Zeira. The next year, Rabbi Zeira turned down Rabbah’s invitation to celebrate again because he couldn’t count on a second miracle should he die again. The higher or mystic meaning: Rabbah and Rabbi Zeira got drunk on Purim, and Rabbah’s mystic secrets poured forth to the degree that he escorted Rabbi Zeira on an “unscheduled” trip to the heavenly realms (which rendered such ecstatic joy it killed him) and returned him to earth the next day (bringing him back to life). The following year, Rabbi Zeira turned down Rabbah’s invitation to a second trip because of his great humility. 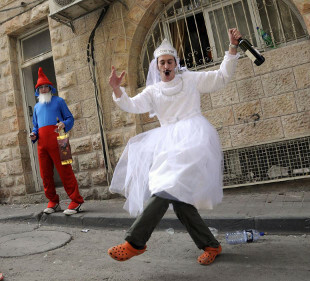 The underlying truth: Rabbah and Rabbi Zeira probably did get drunk together on one Purim but because of his host’s behavior or perhaps his own (some people are less pleasant or controlled when drunk), Rabbi Zeira declined a subsequent invitation, being concerned about a repeat of previous events. The moral of all three stories is, if you know you get too excited or carried away while drunk, avoid social situations that require alcohol consumption. As far as which story you want to apply to the moral, I guess it depends on which one you find the most interesting or, if “interesting” isn’t what you want from your morality tales, which one seems the most plausible. I learned what I already knew, to take mystic and midrashic tales with a grain of salt. Don’t get me wrong. I love a good metaphor and a fantastic saga. I believe they can contain great truths about the reality of our lives. I just don’t think that contained within these stories are a higher mystic reality and must be objectively real. I don’t believe Rabbi killed Rabbi Zeirg with a knife because they were exceedingly drunk and then resurrected him the next day. Nor do I believe that under the influence of wine, the two of them took a trip to heaven in massive, mind-blowing joy and then returns the next day, anymore than I believe that any of Carlos Castenada’s adventures under the influence of hallucinogens were anymore than what a person experiences in a chemically induced, mind-altering state. I’m sorry, I just don’t. I believe that, however these tales came about, they result in lessons of ethical and moral behavior that are designed to illuminate the communities in which the revered Talmudic sages resided. I wish I could say they were more than that. I really do like reading them and I do learn from each one. I guess I make a pretty lousy Jewish mystic. However, if you’re interested in reading more examples of Chasidic Tales, go to the Chabad webpage Stories from the Midrash. It is good and necessary for evangelical leaders to speak out on the great moral issues of our day in obedience to Christ’s call for his disciples to be salt and light in the world. It is quite another thing, however, when leaders call for commitments that are based upon a serious misreading of Holy Scripture. In such instances, it is good and necessary for other evangelical leaders to speak out as well. We do so here in the hope that we may contribute to the cause of the Lord Christ, apart from whom there can never be true and lasting peace in the world. A few days ago, I had a private email conversation with someone over a number of issues and the name of a well-known Evangelical Christian Pastor came up in connection with the letter I quoted above (he’s supposed to be one of the later — but not one of the original — signatories). The association wasn’t complementary and having looked up and read the letter after finishing the email dialog, I can understand why. From an Evangelical Christian point of view, when you read the ten points listed plus the rest of this letter’s content, you probably wouldn’t bat an eye. Nothing would seem amiss in the text of the letter and you’d probably think of it as standard, Evangelical Christian doctrine. Sadly, it is standard Evangelical Christian doctrine and thereby hangs a tale. I’m writing this “meditation” several days before you’ll read it. I’ve set it to publish automatically early (in my time zone) on Sunday morning, when millions of Christians across the country are getting ready to go to church. Today is also Purim, the celebration that is commanded of the Jews of Ahashuerus’ ancient Persian Kingdom, ”their descendants and all who joined them…” (Esther 9:27 – NRSV). I mentioned before that we aren’t quite sure exactly what that statement means except that obviously many non-Jews became strongly affiliated, perhaps even to the point of conversion, with the Jewish people. They were the ones who ”joined them” and thus they, along with all their descendants, have received a commandment to perpetually celebrate two days of Purim each year. The descendants of the Jews in that ancient Persian land are considered today to be all Jews everywhere, but what about the descendants of the Gentiles who joined with the Jews? If they were only converts to Judaism, then their descendants are also Jews. If ”professing to be Jews” however, meant pretending to be Jewish or perhaps coming alongside the Jewish people in fellowship and solidarity, then they are something else. Modern day Iranians perhaps, since King Ahasuerus’ kingdom realm is part of modern-day Iran? Those Gentile descendants could have traveled far and wide in the thousands of years since Esther (Hadassah) and Mordechai walked the earth. Today, they could be anyone. I don’t think I can expand the concept so far as to “command” all Gentiles everywhere to celebrate Purim (although, why not, since it’s such a fun holiday?). So assuming we’re not just talking about born-Jews and proselytes today, who joins or comes alongside the Jews today? The most obvious answer are the Gentiles participating in the various streams of Messianic Judaism and Hebrew Roots. None of the Gentile populations in the numerous branches of those two movements directly claims to be Jewish (with the exception of adherents to Two-House Theology) but all have an affiliation with the Jewish people and Israel to one type and degree or another. In my little corner of Messianic Judaism, it is common to say that Gentiles have come alongside Israel, we have joined them, not as Jews, but maybe like the Gentiles in Shushan. Then it’s obvious that we non-Jews who are in some way among Jews in Jewish communities (or primarily Gentile communities who affiliate with Jewish or Hebrew practices in the case of Hebrew Roots) are, along with the Jews, commanded to celebrate Purim. And again, as I said before, I think there are excellent reasons for all Christians everywhere to celebrate Purim as well. But obviously not all Christians will agree with that statement. Probably most Christians won’t agree with that statement, and certainly the original and later signatories of the aforementioned open letter would absolutely not agree with me. I was tempted to go over each point of the letter and write a rebuttal, but since that letter has been around since 2002, plenty of other rebuttals already exist, including an article at pre-trib.org and the Rapture Ready discussion forum (not that I’m likely to agree with all the points or perspectives of either population, but I do want to illustrate that not all “normative” Christians go along with the Knox Seminary letter). Just a few days ago, as I’m writing this, Tim at the Onesimus Files blog, wrote a short but powerful article with accompanying links in support of Israel as remaining in God’s promises and refuting that the Gentile Church has replaced “earthly Israel” as the “spiritual” or “new Israel.” A day or so later, Judah Himango at his blog Kineti L’Tziyon wrote Purim: 5 unusual lessons for Yeshua’s disciples (and for those of you who may not know, “Yeshua” is the original Hebrew name for “Jesus”). I don’t always agree with either Tim’s or Judah’s perspectives on certain things, but we do agree that God has not done away with the centrality of Israel in God’s prophetic, Messianic promises, and that the non-Jewish people of the world must come alongside the Jewish people by becoming disciples of “the King of the Jews,” who came once as Yeshua ben Yosef and who will return in power as Yeshua ben David, and through the worship of the God of all, the One God, Israel’s God. I will bless those who bless you, and the one who curses you I will curse; and in you all the families of the earth shall be blessed. That’s God speaking to Abram (later named Abraham) and blessing him with an eternal blessing that applies to all of his descendants through Isaac and Jacob who today are the Jewish people. God not only promises to bless the nations who bless Abraham and his descendants and to curse those who curse them, but He inserts a veiled promise that all the families, the nations of the earth shall be blessed by Abraham’s seed, Messiah. So we non-Jewish disciples of the Jewish Messiah come alongside Israel through Messiah, the seed of Abraham through whom the entire world will ultimately be blessed. We can say that those people who are not Jewish and who have not come to faith in Jesus Christ have no obligation to observe Purim. However some atheists and agnostics and people of other religions do “bless” or support the right of Israel to exist as a Jewish state and who think well of the Jewish people, though it’s popular in secular society worldwide to refer to Israel as an “apartheid state” and to demand a boycott of Israel’s products and services, thus bringing themselves under a curse (they don’t believe the God of Israel exists and thus that the curse exists, but the Messiah hasn’t returned yet). But are any authentically believing and faithful Christians under the same curse? This is in direct contradiction to God’s giving the land of Israel to the Jewish people in perpetuity (see Genesis 15:18 and 17:8 … also see ”The Bible on Jewish Links to the Holy Land” at Jewish Virtual Library). To Challenge Evangelicals To Take Responsibility To Help Resolve the Conflicts in Israel-Palestine By Engaging With the Teaching of Jesus on the Kingdom of God. I have no idea how any Christian who reads and understands the Bible can make such a statement, but I said before that recent news articles report Evangelicals pulling away from supporting a Jewish Israel. 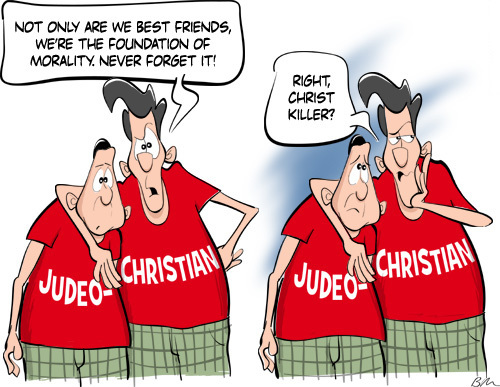 Sadly, it actually makes sense for Evangelical Christians to turn a cold shoulder toward Israel and the Jewish people. It took Hitler’s ghastly Holocaust to shock the Christian church out of centuries of anti-Semitism and supersessionism, but World War Two ended nearly seventy years ago, and if I know one thing about human beings, we’re very shortsighted and of limited memory. The Rosh Pina Project has been running a rather lengthy series on the 2014 Christ at the Checkpoint (CaTC) event (which ended on Friday the 14th) from a Messianic Jewish perspective. Several authors on this blog have posted detailed commentaries and multiple videos of this year’s event, so if you want to learn more, the Rosh Pina Project is the place to go. I find it ironic that the image in the banner at the CaTC homepage quotes Matthew 6:10, ”Your Kingdom Come.” I can only imagine that the folks at Bethlehem Bible College and the other CaTC supporters and allies believe that when God’s Kingdom comes upon the return of Jesus, the way they, and the folks who signed the Knox Seminary open letter, view God’s Kingdom lines up with the complete elimination of Jewish possession of Israel. The fact that point nine of the open letter states, The entitlement of any one ethnic or religious group to territory in the Middle East called the “Holy Land” cannot be supported by Scripture. In fact, the land promises specific to Israel in the Old Testament were fulfilled under Joshua,” is, to me, a clear indication that the letter’s writers and signatories have no idea what God has promised Israel or what “Thy Kingdom Come” means. I realize that makes me sound arrogant beyond belief. All of the signatories are Pastors and theologians with doctorate degrees up the wazoo, and I’m just one guy with no doctorate degrees and just a heck of a lot of chutzpah (and with chutzpah in mind, I invite anyone who agrees with the Knox Seminary letter and/or CaTC’s mission to watch The First Fruits of Zion episode Thy Kingdom Come for a bit of illumination). I know it seems strange to say that there are Christians, well-known Christian Pastors even, who could be cursed by God because these well-known (and probably lots of not well-known) Christians believe ”the land promises specific to Israel in the Old Testament were fulfilled under Joshua,” and that ”bad Christian theology is today attributing to secular Israel a divine mandate to conquer and hold Palestine.” Really. They should just join the BDS Movement and be done with it. 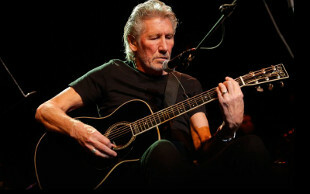 I bet they’re big fans of Roger Waters’ vile opinions on Israel. 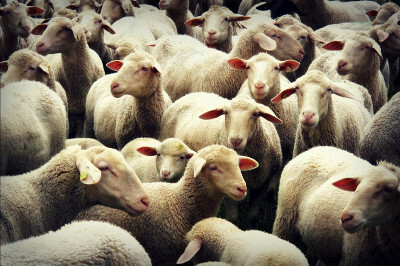 Remember the parable of the sheep and the goats (Matthew 25:31-46). I used to think it was about being judged by how we do or don’t show kindness and compassion to others, especially strangers, but a year or so ago, I heard an alternative interpretation from a teacher at the church I attend, that Jesus is specifically addressing those Gentile believers who did not care for the disadvantaged, the hungry, thirsty, or naked of Israel, the Jewish people. I really hate to say this since I know it will hurt a lot of people’s feelings and make a lot of Christians mad at me, but the only conclusion I can pull out of all of this is that the “Spirit of Haman” not only roams the Islamic mosques and madrassas (seminaries) but that “Spirit” can also be found in some of our churches and seminaries. It breaks my heart to say that because there are a lot of good people in the church who indeed to love Israel and believe it is for the Jews only, but the evidence has been mounting that much of Christianity is turning away in the “Spirit of Haman” and bringing upon themselves the curse promised in the Abrahamic covenant, and the curse of Haman and his ten sons. I wish I could have written a light, comedic “meditation” for today as a celebration of life and joy, but I discovered I’m not a comedy writer. I’m just a voice in the wilderness calling the churches of the nations back from where they’ve wandered off, pleading with them to repent of their ways, begging them to return to God before it’s too late. John was a prophet in the wilderness and he called many Jews back to repentance in his day. I’m just a guy with a blog and I’m no prophet at all. Humans have a strength that cannot be measured. This is John Connor. If you are listening to this, you are the resistance. If I forget you, O Jerusalem, let my right hand wither! Let my tongue cling to the roof of my mouth, if I do not remember you, if I do not set Jerusalem above my highest joy. And I say with some irony, Chag Sameach Purim. Have a joyous Festival of Purim. I received an audio CD from First Fruits of Zion (FFOZ) a number of days ago, but I didn’t get a chance to listen to it until I was weeding the backyard over the weekend. It’s interesting trying to pull weeds out of muddy plant beds, listening to D. Thomas Lancaster lecture about Purim to the congregation at Beth Immanuel Sabbath Fellowship, and periodically grab my pen and notebook to quickly jot down an important note or two. Fortunately, the sermon was just under thirty minutes, but it was frustrating not being able to actually start writing my commentary until after I finished getting rid of those pesky weeds (which took significantly longer than thirty minutes). The sermon was originally delivered in 2008 but I can say that everything I heard was news to me. Though Purim is a joy-filled holiday, its story might appear somber at first glance: It tells of the near-destruction of the Jewish people as decreed by Haman, an advisor to the Persian King Ahashuerus. However, Ahashuerus’ newly crowned queen, Esther–who replaced Vashti when she was thrown out of the kingdom–is secretly a Jew. 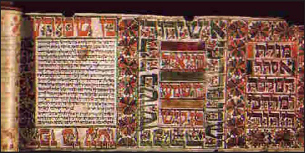 Due to her courage and her eventual role in saving the Jews, the story of Purim is known as “Megillat Esther,” or the Scroll of Esther. Lancaster, in his sermon called “Purim 1946,” stated what most of us know, that it is the one book in Biblical canon that doesn’t mention God at all, and yet the mercy of God is quite evident. He also said what most traditional Jews and Christians agree upon, that this is a uniquely Jewish celebration. What the heck are Gentiles at Beth Immanuel or anywhere else, particularly Christians, doing celebrating Purim? The terrible events we read in the Book of Esther have been applied across all of Jewish history, for the evil that Haman did was perhaps the first recorded act of anti-Semitism, particularly with the goal of Jewish genocide. Across all the inquisitions, pogroms, persecutions, Talmud burnings, and even mass murder, we find the “Spirit of Haman” repeatedly returning to finish the job he started those many thousands of years ago. This “Spirit” is likened by Lancaster to a demonic force, and even the great dragon we find in Revelation 12. The most obvious expression of this Spirit in recent history is in the person of Adolf Hitler and his bloody Holocaust, and I don’t think we’ve seen the last of such evil, especially with the rise in anti-Semitism we see in the world today, particularly in Muslim nations. But the Scroll of Esther contains a secret, something hidden, as the presence of God was hidden in the text of the story. But I will surely have concealed My face on that day because of all the evil that it did, for it had turned to gods of others. Lancaster points out that the Hebrew word for “concealed” or “hidden” uses the same letters as the name “Esther,” so he believes there is a connection. This won’t be obvious in Christian Bibles but you would see it in an actual Scroll of Esther and it’s even evident in my Tanakh. In Esther 9:6-10 a list of the names of the ten sons of Haman appears, but in the actual scrolls which are read on Purim in synagogues, the names are listed in columns with the name of a son on one side, and the word “and” on the opposite side of the page or portion of the scroll. The significance of this isn’t in the arrangement of the names in the list, but that in the actual scroll and in my Tanakh, there are three Hebrew letters that are printed smaller than the rest: TAV, SHIN, ZAYAN. However, they don’t seem to spell any word in ancient Hebrew. Hold onto that thought. I’ll return to it. Wait a minute. The ten sons of Haman are already dead. What’s the point of hanging their dead bodies on the gallows? The answer is simple and rather gruesome. The ancient “gallows” isn’t the same thing we think about when we see a hanging in some film about the old American West. She wanted the dead bodies of Haman’s sons to be impaled on stakes and displayed, probably as a warning against anyone who would dare to rise up against the Jewish people. This request is why Purim is celebrated by Jewish people for two days if they live in a walled city. But there’s a midrash about Esther’s use of the word “tomorrow.” The midrash says that there are two kinds of “tomorrow,” the tomorrow that is now, that is, the literal day that comes after today, and a tomorrow that is in the future, which is at some far but perhaps unknown point in the future. Now we return to the three Hebrew letters that appear smaller than the rest in Jewish texts of Esther. You can’t read them as a word, but you can read them as a date, since each Hebrew letter has a numeric value. In this case the date is the year 5707. Remember that Hebrew years aren’t counted the way we do in the modern era. The New Year on the Hebrew Calendar is on the Festival of Rosh Hashanah, literally “head of the year,” which most recently was observed from September 4th to September 6th in 2013. The current year on the Jewish calendar is 5774. Do the math. The Jewish year 5707 is 1946 on modern calendars. The Nuremberg Trials were a series of military tribunals, held by the Allied forces after World War II, most notable for the prosecution of prominent members of the political, military, and economic leadership of Nazi Germany. The trials were held in the city of Nuremberg. The first, and best known of these trials, described as “the greatest trial in history” by Norman Birkett, one of the British judges who presided over it, was the trial of the major war criminals before the International Military Tribunal (IMT). Held between 20 November 1945 and 1 October 1946, the Tribunal was given the task of trying 23 of the most important political and military leaders of the Third Reich. [He] was a prominent Nazi prior to World War II. He was the founder and publisher of Der Stürmer newspaper, which became a central element of the Nazi propaganda machine. His publishing firm also released three anti-Semitic books for children, including the 1938 Der Giftpilz (“The Toadstool” or “The Poison-Mushroom”), one of the most widespread pieces of propaganda, which purported to warn about insidious dangers Jews posed by using the metaphor of an attractive yet deadly mushroom. Of the twelve men sentenced to death, one of them was not present during the verdict and through a legal circumstance, was not executed. Another man committed suicide the night before the hangings (the Tribunal deemed these men unworthy of being extinguished by firing squad as would have been the case in a traditional military execution). 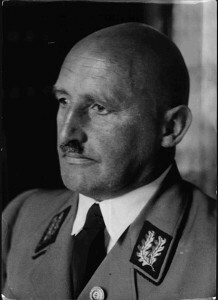 But of the twelve men sentenced to die on the gallows, only ten of the most vile and hateful Nazis, including the great anti-Semite Julius Streicher, died as did the ten sons of Haman so many thousands of years before. There are indeed two tomorrows, if you’ll accept it. There is a tomorrow that is now and a tomorrow that is in the future. The tomorrow Esther spoke of was the next day, but based on the Hebrew letters written smaller than the others in the list of Haman’s sons (and I have no idea how the tradition began), the tomorrow of the future was October 16th 1946. I wonder if this is the last time though that we’ll face such heinous persecution of the Jews with the result of more “sons of Haman” dying on the gallows as payment for their crimes? Mordechai left the king’s presence clad in royal apparel of turquoise and white with a large gold crown and a robe of fine linen and purple; then the city of Shushan was cheerful and glad. The Jews had light and gladness and joy and honor. And in every province, and in every city, every place where the king’s word and his decree reached, the Jews had gladness and joy, a feast and a holiday. Moreover, many from among the people of the land professed themselves Jews, for fear of the Jews had fallen upon them. Read literally, we see the victory of the Jews in that ancient land we know today as Iran, where Mordechai, the uncle of Esther (her Hebrew name was Hadassah) was elevated very high and made very great in the Kingdom, and the Jewish people, at that point in history, knew peace, gladness, and joy, and they had light and honor in every province under the rule of the King. But if you expand the scope of these verses to contain the Messianic Age, if the King is King Messiah, and the Jews are not just the Jews in King Ahasuerus’ kingdom, but the Jews from all over the world, who have been returned, all of them, from exile to their land, the Land of Israel, then you see a perfect picture of the Messianic Kingdom and described in numerous other prophesies in the Tanakh. Except for one thing. What about the latter part of verse 17? Moreover, many from among the people of the land professed themselves Jews, for fear of the Jews had fallen upon them. I’ve heard this verse interpreted to mean that many Gentiles in the land converted to Judaism. Others have said they only pretended to be Jews for fear of retribution. Still, another way of looking at this sentence is that many people threw in their lot with the Jewish people, not taking on Jewish identity as such, but being overtly supportive of the Jewish people and Jewish practices. But if this too is a prophesy as Lancaster suggests, what does it mean for believing Gentiles today? For Lancaster personally, it means pursuing the worship of Hashem, God of the Hebrews, through the study and practice of Messianic Judaism. Remember, the Bible says that in the last days, many nations will rise up against Israel, and the Holy Nation will almost be defeated, that is, until God comes to defend Israel and the Jewish people. Once again, and for the final time, Israel will almost be wiped out and in the last moments, when all hope seems lost, God will once again save His people and destroy their enemies. And just as in ancient Persia, those people who are not Jewish will likely fear being taken also as the enemies of the Jews. What better way to be known to be a friend of the Jewish nation and an ally of Israel than to come alongside them right now, before the trouble starts or at least before the last war starts? That is what Lancaster seems to be doing right now. I’m not saying that we all have to join Messianic Judaism, but consider this. Lancaster didn’t touch on this topic, but how many “sons of Haman” in the last nearly two-thousand years have been part of the Church of Jesus Christ? How many pogroms, persecutions, maimings, and murders have been engineered by people calling themselves “Christians”. You can justify it by saying they weren’t really “Christians” but the fact remains that normative Christianity in a variety of forms has been deeply involved in harassing the Jewish people and attempting to eradicate Judaism by destroying volumes Talmud, scores of Torah scrolls, and innumerable synagogues. The darkest moments of the history of the Church are just as stained with the blood of Jews as was the soul of Julius Streicher, or the Spirit of Haman. Just a few short years ago, Evangelical Christianity was a great supporter of Jewish Zionism, the belief that the nation of Israel is a Jewish nation. But recent stories in The Blaze, Charisma News and other Christian media outlets seems to show that Evangelicals are distancing themselves from supporting Israel. This is also true of Palestinian Evangelicals, and some of these groups seem to be instead backing those who could be the modern-day equivalents of the sons of Haman. I can see I’ve made a mistake in thinking of Purim as primarily a children’s holiday. 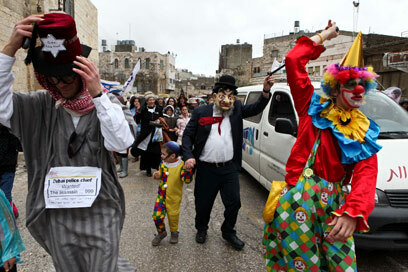 This year, Purim is observed from sundown on Saturday, March 15th until sundown on the following day. Listening to Lancaster’s sermon and realizing the implications as I was on my hands and knees pulling weeds out of the mud, I saw Purim as warning and cautionary tale. We in the Christian church, in its many denominations and expressions, cannot afford to take the prophesies Lancaster says are in the Scroll of Esther for granted. I don’t believe October 16th, 1946 is the last time we’ll see “sons of Haman” publicly executed for crimes against humanity and especially the Jewish people. 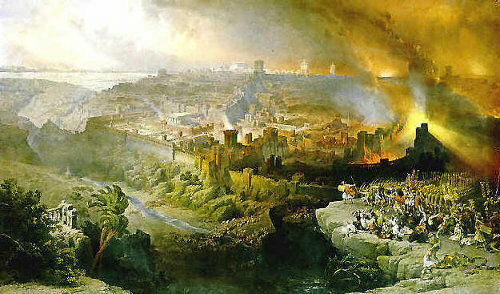 I believe there will come a day when God will fight for His people, the Jewish people, and Israel will be victorious, and the survivors of the nations who were enemies of the Jews will be very, very afraid, and they will be ordered by God to send representatives to Jerusalem to observe Sukkot each year, and to give glory and honor to Israel’s ruler, King Messiah (Zechariah 14:16). We in the Church need to decide which side of Biblical prophesy we want to be on. Do we want to be for the Jews or against them? Will we come alongside the Jewish people in the final war, or will we learn to fear them because we pulled away from Israel? I’ve already declared myself as a Gentile who studies Messianic Judaism, but Lancaster’s sermon gave me more reasons to believe that this decision is the correct one. No, I’m not telling everyone in all your local churches that you have to be like me. But then again, I’m a Gentile who studies Messianic Judaism and who attends a Baptist church. Maybe the proper response to Purim this year for Christians is to study the Scroll of Esther, consider the prophesies it contains, and make a choice about which side you’re on, Mordechai’s or Haman’s. I believe my church supports Israel and the Jewish people to the best of their ability and understanding, but we can be better. It wouldn’t hurt as you practice Christianity in the church and in your lives to maybe study from a Messianic Jewish perspective…just a little bit. 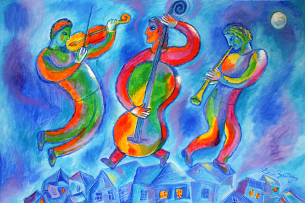 You can go to the Beth Immanuel audio page to listen to Purim 1946. I strongly recommend it. Purim is coming soon. So is the Messiah.